And we're back again! 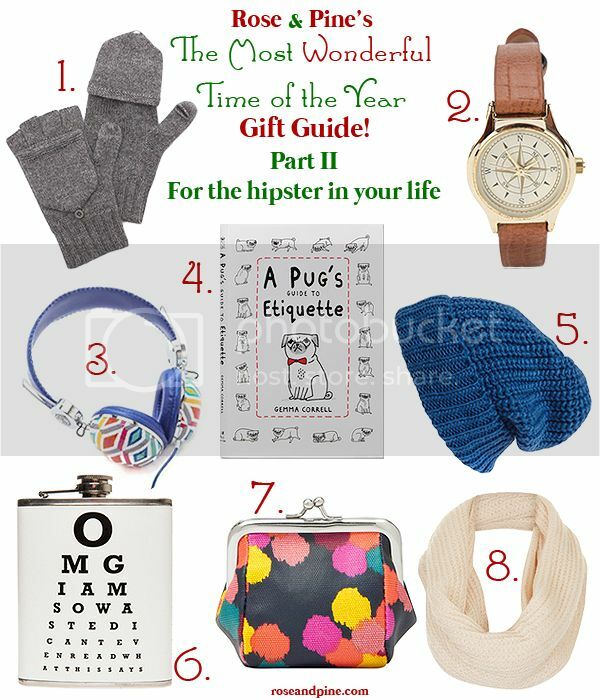 I'm so excited to share another post in this year's holiday gift guide series This posts is for those who need help picking out gifts for those quirky, hipster-y type people they know. In my experience with shopping for my hipster friends, it is either really easy or really hard. Some hipsters are happy with dead leaves you find in the driveway ("I can make a wreath! Thank you! "), but some are just impossible to shop for. Hopefully this guide can help a bit!